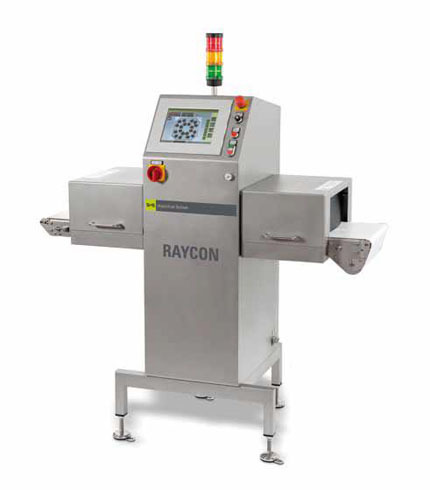 RAYCON - The RAYCON is a product inspection system with an integrated conveyor belt that is used in wet or dry applications to inspect packed or unpacked piece goods. RAYCON allows accurate inline detection of foreign objects of magnetic or non-magnetic metals, glass, ceramic, stone, bone, PVC, rubber, etc., even in metallic or metal-coated packaging. It also identifies product defects such as broken, deformed or missing product.